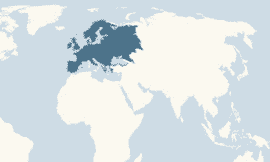 Fallow deer originally lived only in lands along the Mediterranean Sea. 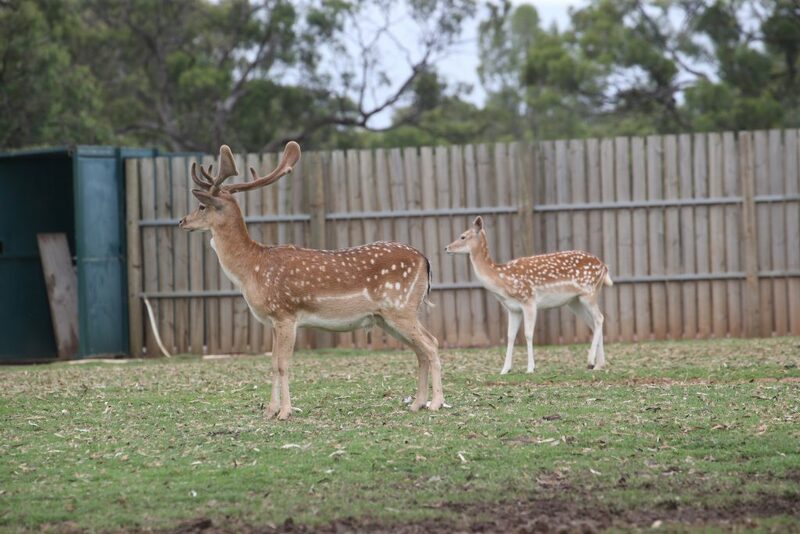 Today Fallow deer are found in Europe and Northern Asia ranging from cool-humid to warm-dry areas. They prefer old, deciduous, broad-leaf forests of varying densities interspersed with grassy areas, but they are also found in mixed forests, subalpine vegetation, grasslands, woodlands, low mountains, scrublands, and savanna. Many variations in colour ranging from white to reddish brown normally with white spots on it’s back, however some individuals may not have spots all together. Males can weigh between 60-80kg and stand up to 1m at the shoulder, while females weigh in at about 30-50kgs and stand slightly shorter than a male. A Male Fallow Deer’s antlers can range in length from 50-70cm and are shed annually. 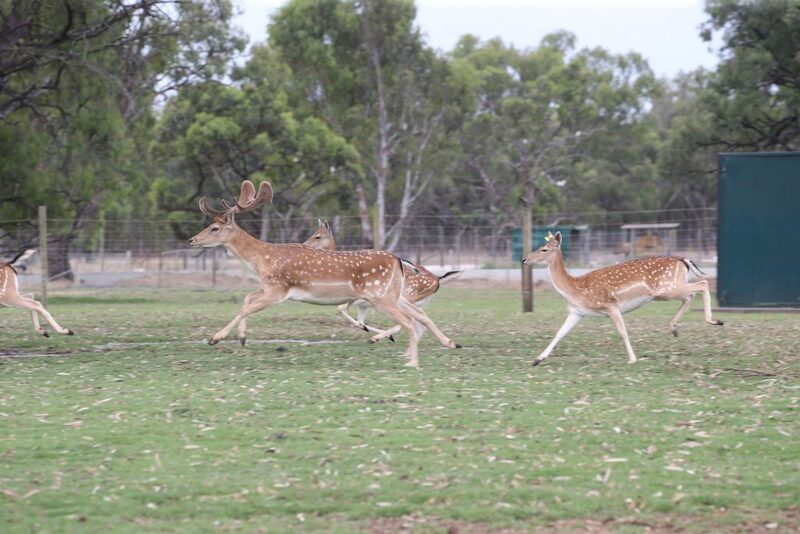 Fallow Deer communicate through body language, smells and vocalizations including; barking, bleating, mewing, peeping, wailing and groaning. 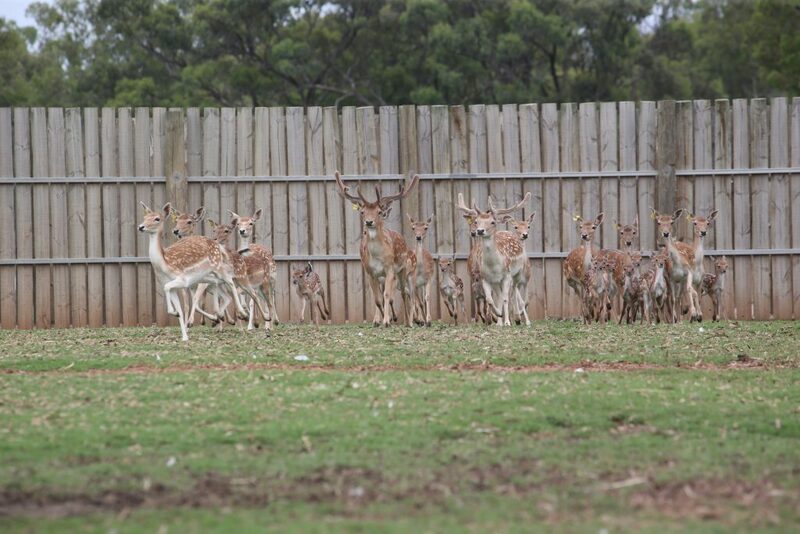 Group structure: Fallow deer have strong herding instincts and can therefore be raised in a domestic livestock operation. Otherwise wild herds are found with a dominant male, females and their young. Other males form a bachelor herd. Males establish their territory approaching breeding season by pawing at the ground, thrashing understory vegetation and producing low-pitched groans and grunts. Diet: grasses, mast, browse, herbs, dwarf shrubs, leaves, buds, shoots and bark. Breeding season normally lasts for approximately 135 days, generally between the months of September and January. Sexual Maturity: Males are capable of breeding at the age of 17-24 months, where females generally conceive for the first time at around 16 months of age. Gestation: 231 – 245 days or 33 to 35 weeks. Number of young: usually give birth to one fawn but occasionally twins can occur. Antlers are palmeted – broad flat antlers shaped somewhat like those of the moose. Predators: Wolves, Cougars, Bears and Humans. Lifespan: 13 – 25 years.